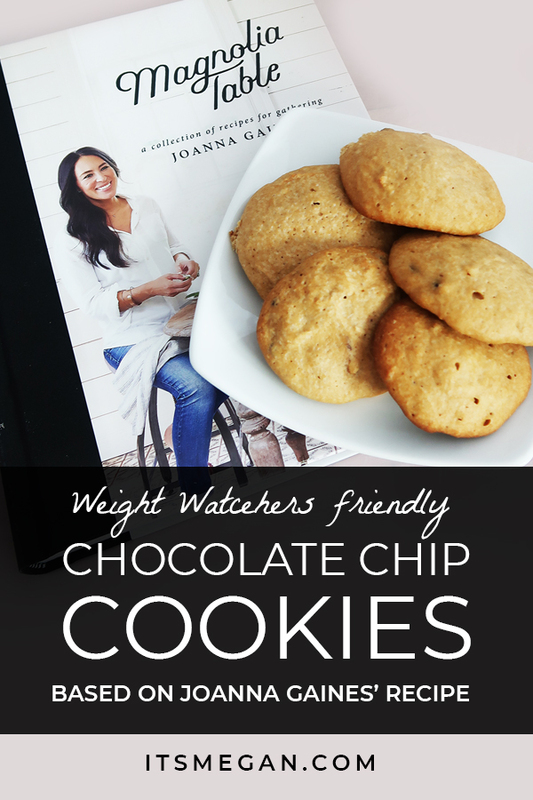 I am a huge fan of Joanna Gaines, and when I bought her cookbook, I was determined to make those recipes fit into my Weight Watchers diet. Of course my first focus was on the chocolate chip cookie recipe! I LOVE chocolate chip cookies, and I had not found a WW version that really satisfied that craving. 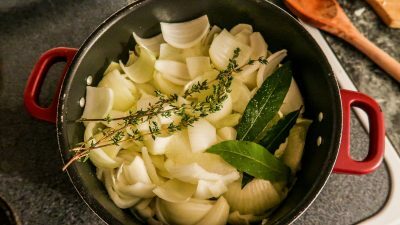 With swapping out a few ingredients for calorie-friendly substitutes, reducing the serving amount from FORTY to twenty (which is still a lot! 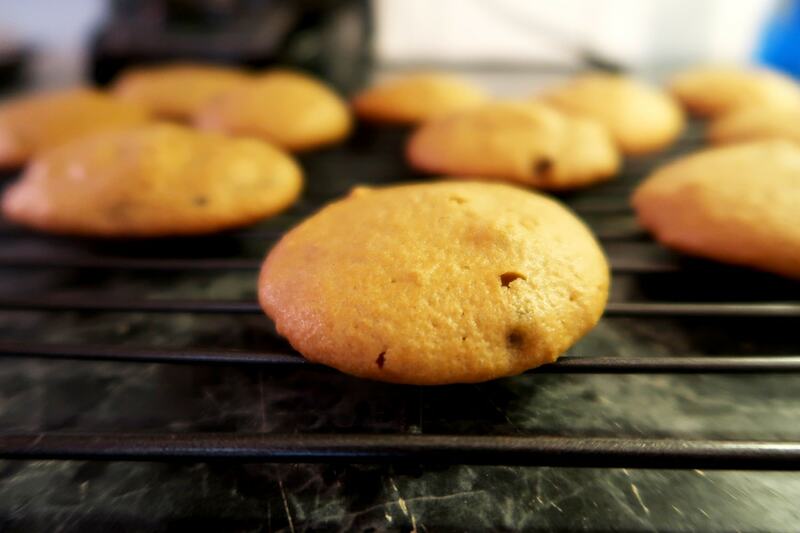 ), and modifying a few things, I was able to make these yummy 1 freestyle point cookies! Just want the recipe? I gotcha. Gather your ingredients! 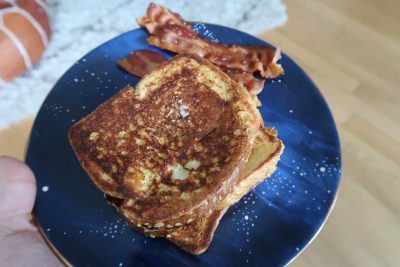 I’ve tried the recipe with both 1 egg and 2, and it comes out great both ways. So if you only have on egg, don’t let that deter you from making these! 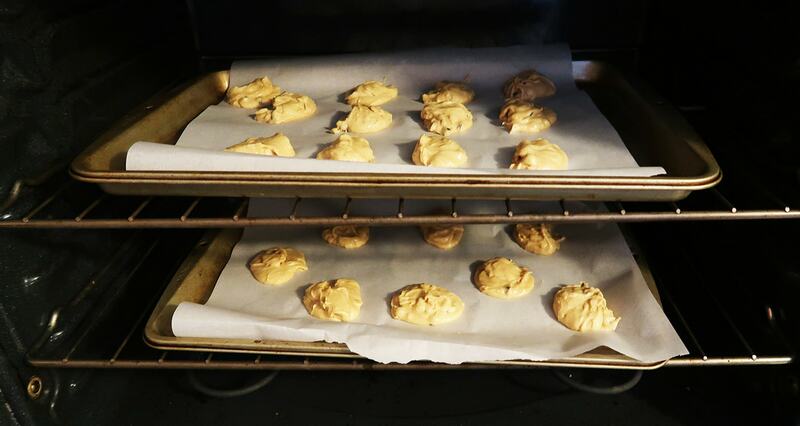 First, preheat your oven to 350º. 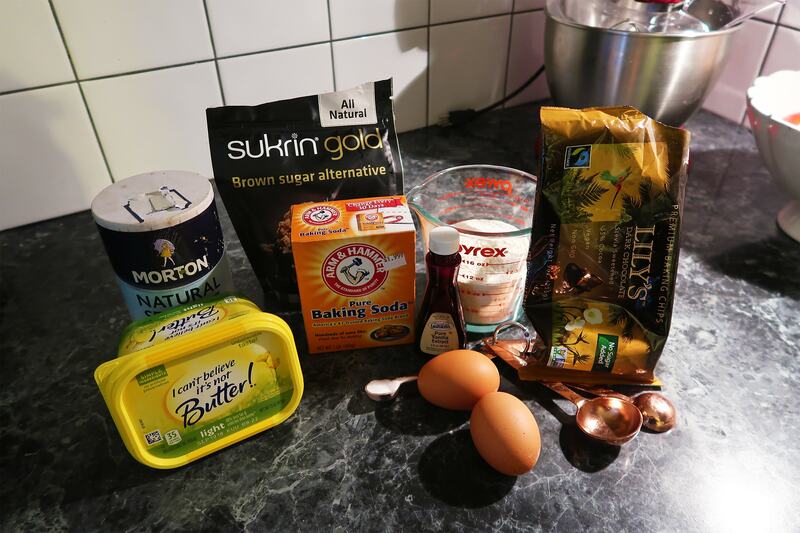 Then mix the flour, baking soda and sea salt in a medium bowl and whisk together. Set aside. 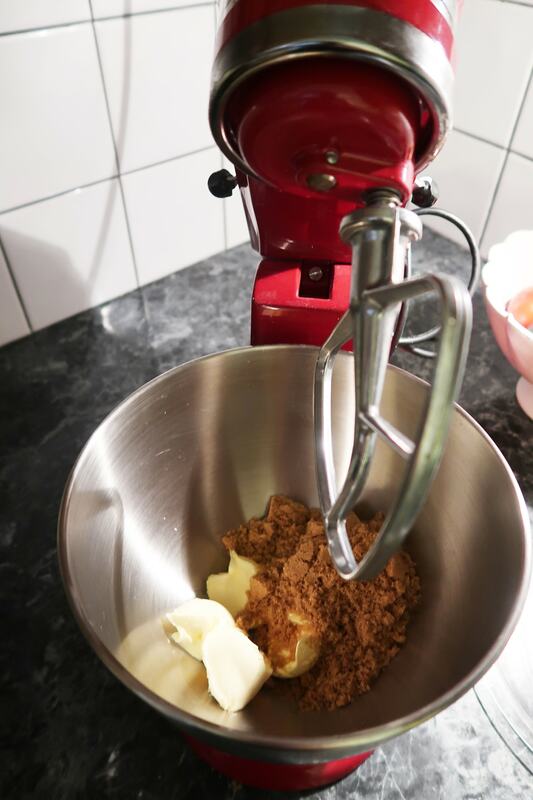 Next, add “butter” and brown sugar to a stand mixer (or a bowl and use a hand mixer). Mix together for 2-3min. 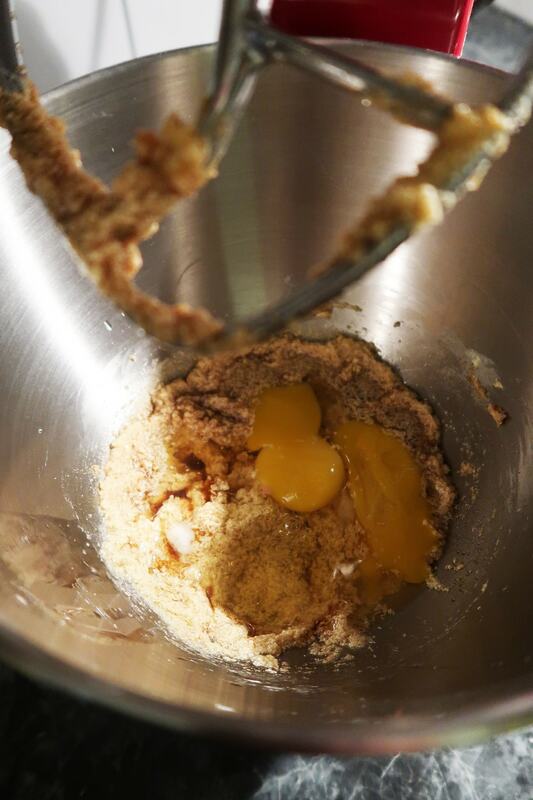 Once it’s mixed together, add egg(s) and mix until blended, then add Vanilla Extract and mix until blended. 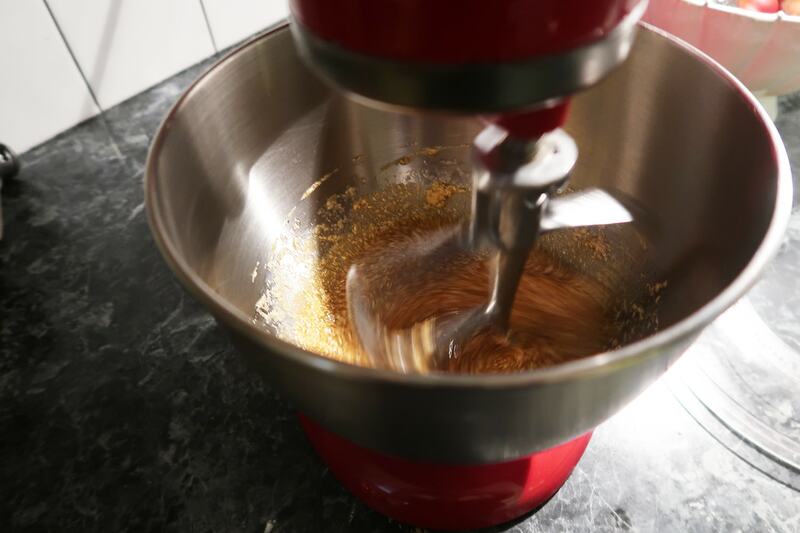 Next, add the dry mixture in and blend. 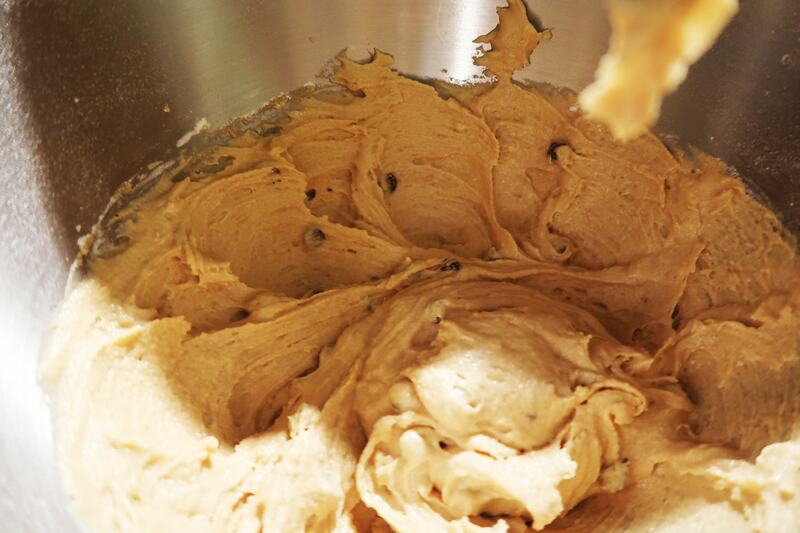 Once you get a cookie dough consistency, add in your chocolate chips and turn the mixer on for a second to evenly distribute the chocolate chips throughout the dough. Place in oven and bake for 10-12 min! Let them cool for 1 min on the pan, then transfer to a cooling rack until cool. 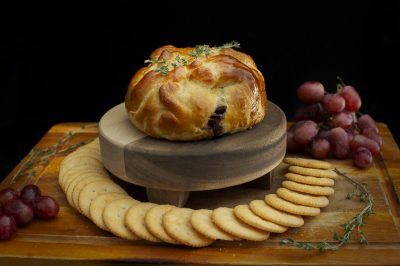 Place in an air-tight container or 3-4 days. *If you’re not on a diet, you should just go ahead and use real butter and real brown sugar, because why not?! Serves 20 cookies. Serving size: 1 cookie. 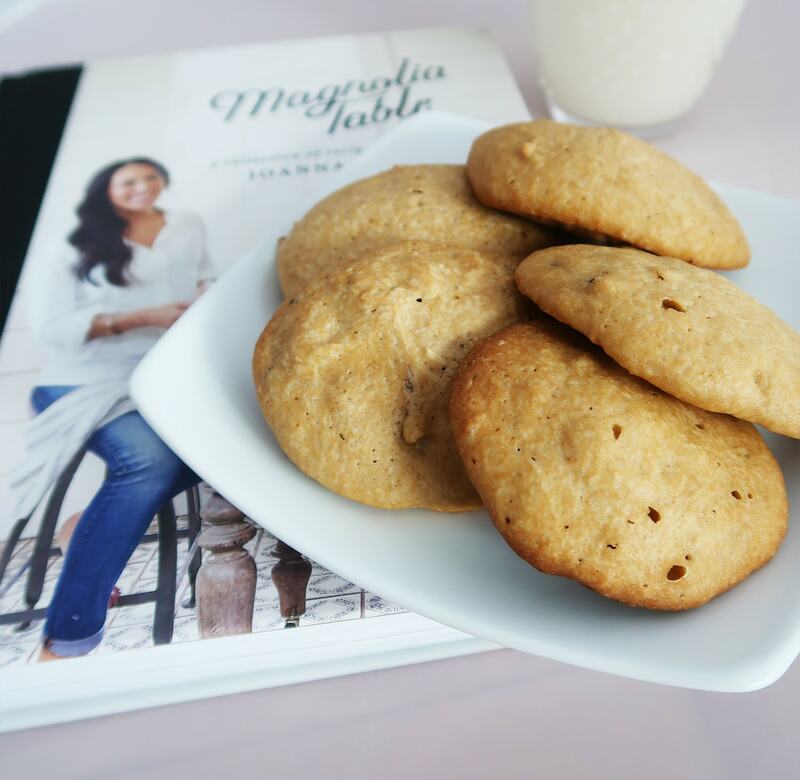 This is an adaptation of Joanna Gaines Chocolate Chip Cookies from her book, Magnolia Table by Joanna Gaines. Original recipe is copyright © 2018 Joanna Gaines. 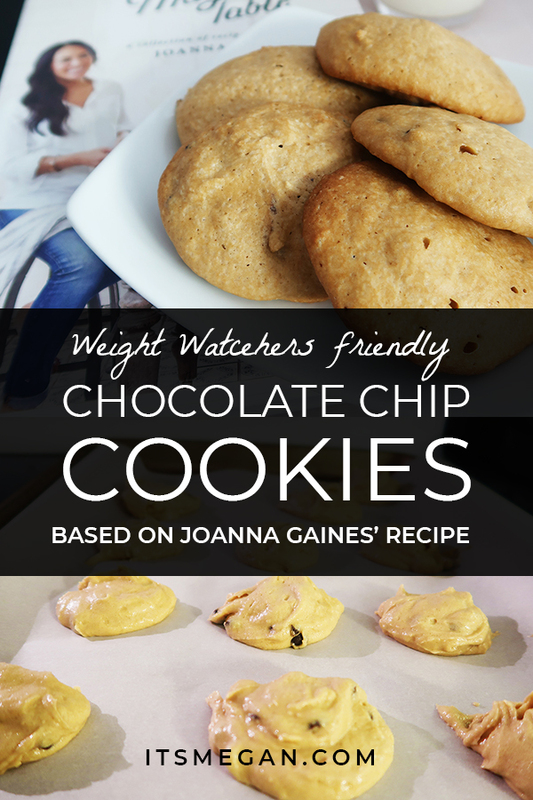 Want to check out other Weight Watchers Friendly Recipes? Check out these mozzarella sticks! I love her too! These sound so yummy! I love that they are WW friendly! These cookies look so delicious. 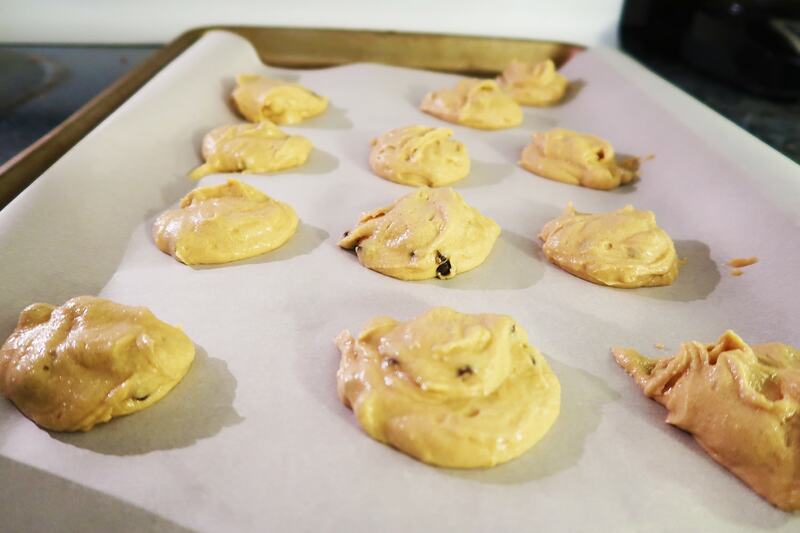 I love using vegan chocolate chips in my recipe, along with vegan butter, and coconut sugar. It brings down the calories while still preserving the flavor. These cookies look so delicious and easy to make. These cookies look so soft and delicious. I love that you made them WW friendly too. These cookies look so delicious, I like how fluffy they look, I will definitely have to try them with the kids, thanks for sharing! These cookies look so delicious and great recipe. Saving it to try later! I love chocolate chip cookies! 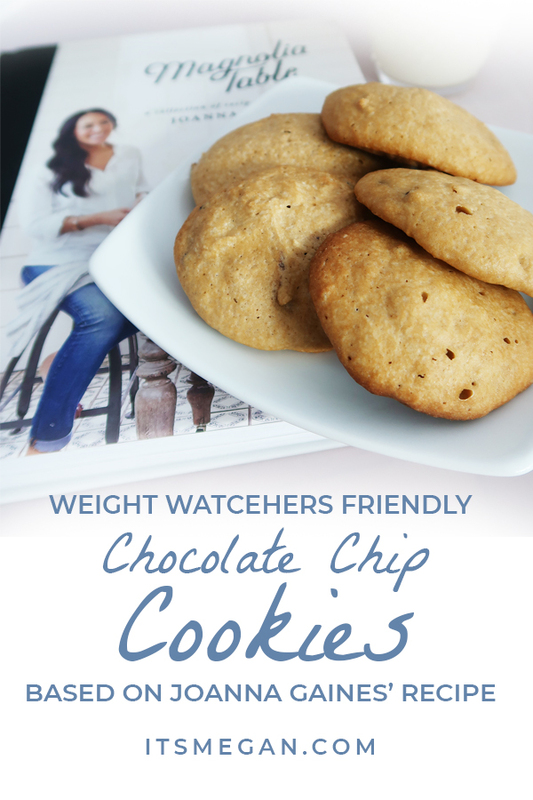 It’s wonderful you’ve adapted this recipe for weight watchers. Can’t wait to try it! I love Joanna, she is so genuine! I love the idea of adopting her recipes to fit your diet, what a great idea, and these cookies look so delicious!